How Much Will it Cost Me to Teach English Abroad? To move anywhere whether it is from New York to New Jersey or Chicago to Madrid, you’ll probably need to incur at least some basic start-up costs. Daily expenses and supporting yourself until you begin to receive paychecks (in most countries around the world, once you begin to work full time and receive paychecks, you will earn enough to cover your daily and monthly living expenses). a) Tuition varies by location, but typically ranges from $1,500 - $2,000 USD for tuition (some courses will cost more) and does not include housing, personal expenses (food, getting around town, sightseeing, etc.) or transportation, including flights, to your course site. b) Housing costs also vary, but typically range from $300 - $1,000 for four weeks. Please contact International TEFL Academy for specific information for each course. Please review Course Dates & Tuition for specific tuition rates for all onsite courses. Related article on housing: Please read Where will I stay when I take my international TEFL course? Standard tuition, including course materials is $1,399. This class is part time for 11 weeks. This allows you get certified while going to school or working your full-time job without giving up your income or incurring other out-of-pocket expenses like travel. Check Online Course Dates & Tuition for any current discounts. Purchasing a textbook is optional for the online class, but highly recommended. Note: All of our students receive lifetime, worldwide Job Search Guidance regardless of which TEFL class you take or where you earn your certification. Online TEFL certification will likely cost $500-$1,000 less than taking an onsite TEFL course in North America, and $1,000-$2000 less that traveling to an international location to take your TEFL course, especially if you have to invest in airfare and housing. If have you a place to stay in the city where you take an onsite TEFL course, the cost difference will be somewhat less. The funds you save from taking an online class can go towards other start-up expenses (airfare, first month's rent, etc.) or other endeavors like travel. 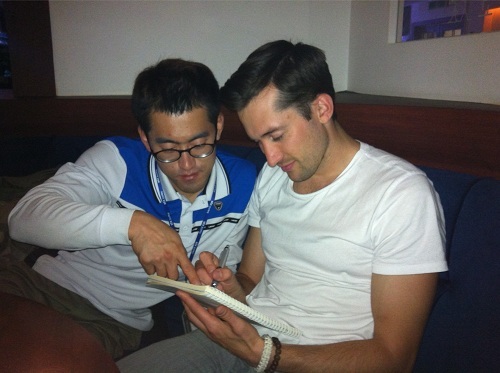 Looking for a Detailed Comparison or TEFL Course Costs? 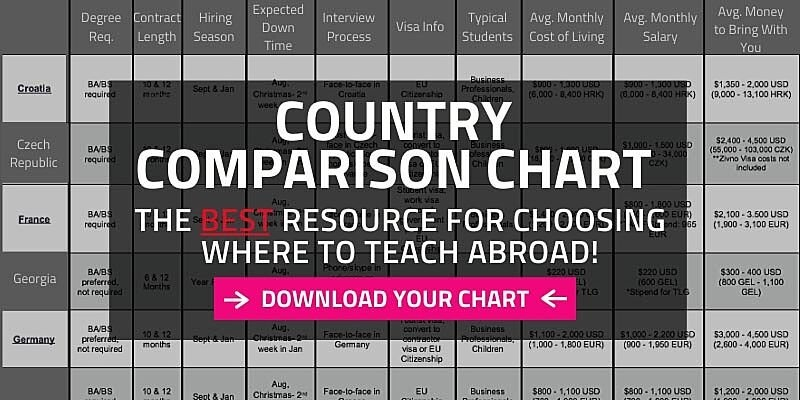 Check out the New TEFL Course Comparison Chart! What do startup costs include in countries where interviews are face-to-face? There are many countries around the world that offer great opportunities for teaching English abroad, including many great countries in Latin America like Costa Rica and Argentina, as well as many countries in Western Europe like Spain and Italy, where you need to plan on traveling there to interview positions and to begin teaching. If you are going to a country to interview face-to-face you will need a savings account for your 1-2 weeks that you will be looking for a job. Once you accept a job offer you typically will be paid monthly so you will then need a month’s worth of savings for day to day living expenses until you receive your first pay. So startup costs will include 6 weeks of living expenses to make sure that you are financially secure in your transition to your new country. Weeks 1 & 2 for housing while interviewing, i.e hostel, hotel, etc. Want to learn more about start-up costs and where you can interview in-person or in advance for jobs teaching English abroad? Request a Country Chart that compares start-up costs, salaries and hiring procedures for more than 50 countries around the world.What do start-up costs include in countries where you interview in advance?In some countries - primarily in East Asia, the Persian Gulf Countries of the Middle East, and limited cases in Europe (primarily in Turkey and Russia) and Latin America (in some cases in Chile and Mexico) - you can interview and line up a job teaching English abroad in advance from home so you have a job waiting for you when you arrive in your destination country. Signing a contract in advance from your home country will save you the 2 weeks of expenses that you would typically need to interview on the ground. When you accept a job in advance you will only need to bring with you a month’s worth of savings. If you start a position January 1st you will essentially need enough cash to sustain you until February 1st or whenever you receive your first paycheck. 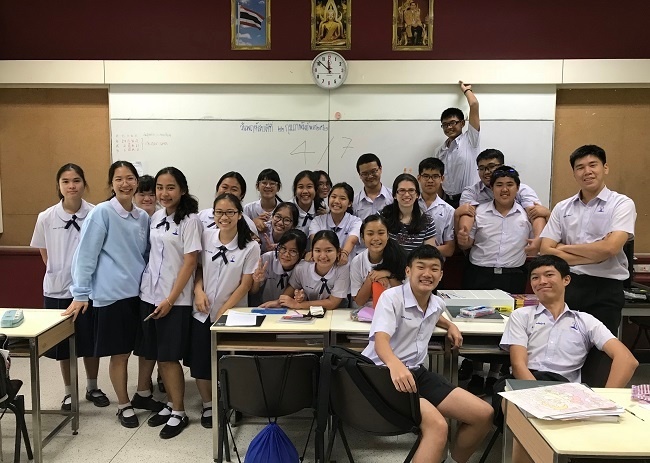 Teaching English in a country where you can interview and get hired in advance will typically enable you to enjoy lower start-up costs.To learn more about these countries, please read Where will schools hire me in advance to teach English abroad? Hot Tip! In some countries, including South Korea, China, Indonesia, some Middle Eastern countries in the Persian Gulf (like Saudi Arabia, U.A.E., Qatar, etc.) and in limited cases in countries like Russia and Turkey, it is customary for schools to cover airfare and/or provide free housing to English teachers. Those who sign contracts providing such benefits will incur much lower start-up costs for teaching English abroad!Start-up costs for teaching English abroad will vary from country to country and region to region based on differences in exchange rates and the local cost of living. Exchange rates: Your dollar (US for example) will have more buying power in some countries than others. Western European countries (i.e. Spain or Germany) that use the Euro will cost more to start up than eastern European countries that do not (Czech or Poland).Typically, start-up costs will be higher in Western European countries like Spain and Italy compared to countries in Latin America (though major cities in Brazil can also require higher start-up costs), Eastern European nations (like Czech Republic, Russia, and Turkey, for example), and Asia. Basic expenses like rent and food are just more costly. For example, estimated start-up costs (6 weeks living expenses, not including airfare and TEFL certification, until you begin receiving paychecks) in Spain or Italy will typically range from $2,000 -$3,000. Meanwhile in Costa Rica or Peru, those same costs will typically range from the equivalent of $750 - $1,000. In Czech Republic they will range from $1,300 - $1,700 and in Turkey, they will range from $1,000 - $1,650.Our Country Chart provides estimated start-up costs, not including TEFL certification and airfare for more than 50 countries around the globe.You can also learn more about costs of living in various cities around the world using websites like this. How Can I Save on Start-up Costs and Airfare? Teach English Online: Get start getting paid before you head overseas & have a job lined up when you arrive! Teaching English online offers you the opportunity to start making money teaching before you even head abroad. Also, because you can do it from anywhere, you can begin teaching English online and earning money as soon as you arrive in your destination country, even if you don't have a job yet at a local school. Choose a country where schools typically reimburse or provide free airfare to English teachers abroad for English teachers abroad. Choose a geographically close location to save on airfare. Teaching English abroad is a realistic goal for just about anybody provided you conduct your research, and plan accordingly. Don't let finances become an excuse for not achieving your dream of living and working abroad! Finally, watch ITA advisor Ashley, Megan from GoAbroad.com, ITA alumni Ambassador Laura & ITA alumni Ambassador Ryan talk about how to save money & finance your dream of teaching English overseas!